In early May, I wrote an advertorial for Lustre Skin Pro Tablets, which is really a skin care supplement. I started taking one tablet in the night for about a week but soon changed that to one tablet in the day because I wanted to enjoy the UV protection this supplement offers. However, I didn’t really find too much changes to my skin condition and into my third week or so of taking this, I went back to taking one tablet in the night and that’s when I saw a noticeable difference. 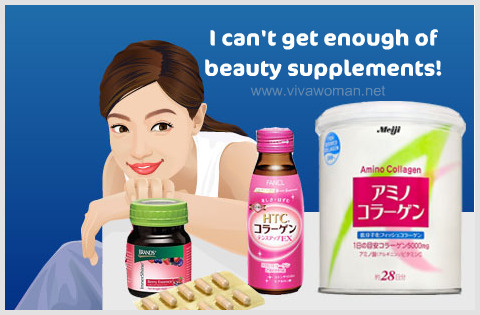 And so it seems that when it comes to beauty supplements, timing is everything. 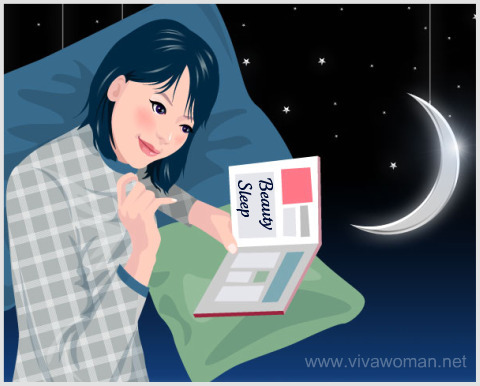 Night time appears to be the best for taking such supplements because our skin cell renewal rate is higher at night. In fact, this was what I covered in my entry on 5 things to know about your skin at night. So not only is it important to indulge in a quality night time skin care routine and go to bed by 11pm, it is ideal to consume your beauty supplement just before bedtime for optimal results unless the instructions state otherwise. And this reminds me of a time when I was younger and my mom would make bird’s nest soup for me but get me to drink half before I sleep and finish the other half in the middle of the night! According to her, that consumption pattern would yield the best results! Well, I guess if I am taking bird’s nest soup all over again, I would take it all in the night just before I sleep – no waking up in the middle of the night to drink the other half though. But the only problem I see is, I might wake up with puffy eyes due to the fluid retention! 10 Beauty Benefits Of Taking Cold Showers That Even Celebrities Swear By 5 things to know about your skin at night Do we really need a specialized night cream? Are oral beauty supplements your kind of thing? I bought a pack of collagen tablets – the instructions said to consume 6 tabs just before bedtime. After abt a week, i realised I had to wake up in the middle of the night to pee. Very inconvenient. How shd I overcome this? You either take it half an hour or so before bedtime or just have to wake up in the middle of the night. But are you able to drink lesser water. I usually take mine with just a sip of water. What if de skin supplement have to b taken with a full stomach? You cant sleep while feeling full rite? You will have to take it after dinner in that case…does not have to be immediately before bedtime. If you’re taking it for the skin, then night time after dinner would be better. I understand that fish oil is best taken with a full meal. Btw, random question, are there any body lotions to recommend that can make the skin softer? I tried olive oil, which I slapped on religiously everyday but I don’t see much result after a month and the oiliness after that gets kinda uncomfortable on a hot day. I quite like the Natralia Nourish Naturals Dry Skin Lotion. Found it light and fairly moisturizing. But typically, I don’t see a lot of improvement applying lotion to my skin except that it keeps it more moisturized when I use it. The reason is because they do just that – moisturize. 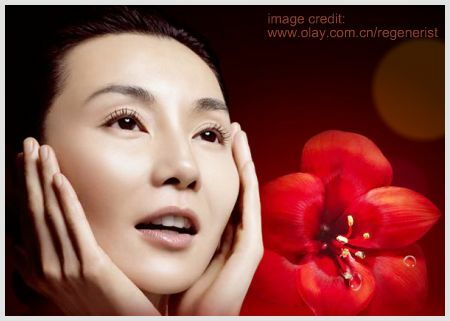 They do not provide longer term effects like our facial care products. Wow, that’s a good tip and great article too. 🙂 Now I know to take certain things before bed. Also, which is better at dissolving milia seeds? Sea buckthorn oil or Grapeseed oil? The former sounds good but it seems some people developed reactions to it. Seems to be grapeseed oil based on some of my readers’ feedback. Oh really? I see. Haha, I’ve a lot of milia seeds on my eye area. Well, I’ve not tried but a few have given positive feedback so you can give it a try. you’ve got great tips there sesame! very informative post as always! i learn a lot from your blog! Dear Sesame, thank for this wonderful topic, lately this has been pondering on my mind for quite a while, I read that the optimum time that the body utilises vitamins are from 5am-8am when your body begins to seek fuel and nourishment? with this i would take multivitamins with added zinc, then brunch i would include B12 vitamin, then lately i have been considering taking the fish oils for night time too to get the best results, however i wonder after reading that the body flushes out extra vitamins & minerals I wasn’t sure whether night time was a good idea? for example would you say in the morning you have noticed your skin looking more vibrant/nourished? I am very keen to try out this night time supplementing as my skin is in need of a little rescuing from the stress lately! I’ve read that there are optimal hours for our bodies to take in vitamins but it’s a bit much to go into those so here I only focus on those for the skin. If you’re taking something for the skin, night would probably be the best. If it flushes out, it’s more of the excess so I think it’s ok. Well, at least when I took the supplement in the night, my skin looked better than when I take it in the day. I’m a new follower!! And so far i’m LOVING your blog!! i’ve been taking it right before i go to bed but i’m not sure if it’s the best timing..
i’ve not seen any diff since i’ve only started taking it a few days ago..
can u please advise on the right time to take it? If you’re taking supplements for hair growth, then it might be better to take during the day because hair actually grows slower while you are asleep then when you are awake. You might have to use some external serums, etc to aid in the hair growth as well. Try Regaine…many pple said it helps them. OMG i didnt know that i’ve been taking it at the wrong timing!! ok ill switch to taking it in the day starting from tml!! and thanks for replying so fast!! It also grows in the night so no worries…but from what some are saying, seems more growth in the day. I think it’s not that you’re taking during the wrong timing but such supplements take a long while to be effective. I was taking them in the past too – also did not see much effects. love your style of blog! Night time skin tips very good. I have a night cream that is programmed to help you sleep if you’re interested? testimonials are on the website. Do let me know. I’ll take a look…sounds odd that a night cream that is programmed to help one sleep though. Thanks for bring up this post about when’s the best time to consume beauty supplements as I’ve been wondering about it lately. And I thought my mom was strange so she’s not! how about when you work on a night shift? is it best to take collagen before bedtime which is morning? Interesting question…I’m not too sure. I suppose it works better when your body is rested. I always take 3 capsule of collagen,1,000mg of vitamin c in the morning, 3 capsule again with 1 capsule of fish oil before 6pm (both on empty stomach). Is that right or should I take it all on evening before hitting the bed? My worry is that, dont I take too much supplement? If you are taking a few, then your schedule makes sense. As to your question about too much supplement…well, can you cut down? I think they sound okay except for vitamin C. I read that vitamin C supplements are quite useless. Perhaps you want to up your intake of fruits instead? I take my collagen supplement like 2 hours before dinner and 1 when i wake up in the morning. Is thAt ok? Should be fine if you’re following the instructions. 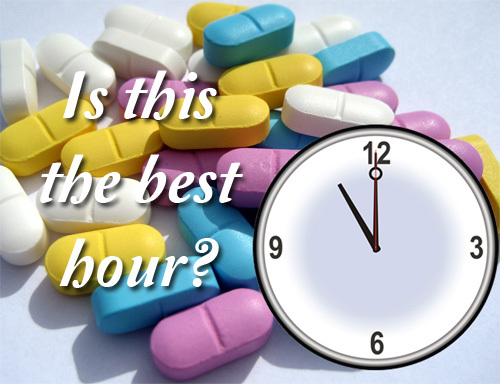 what is the best time to take Hair,Skin & Nails supplements? I started to take Natures Aid Hair,Skin & Nail supplements very recently & normally I take a one tablet after my dinner time. is this the time? If the instructions doesn’t say, I would say night time, just before going to bed is best as your body is resting and in a better position to absorb the nutrients. Hi sesame. My friend gave me 4 packs of collagen (Daiso select) from japan, and i dont know when and how many pieces should i take everyday to see it’s effects. Thank you. Just want to ask if taking collagen drink at night and taking omega 3 fish oil in the morning is fine? i just bought the collagen drink and it stated that it should be taking in night before going to sleep but i still have a lot of omega 3 capsules left. Im wondering if its okey to drink those supplements sinve both are containts of fish! hi! i would like to ask if i can take centrum advance, myra 400 e, potencee, collagen and snow caps all at once before bedtime? i work in a call center and i usually sleep around 2pm in the afternoon and wake up at 9pm (i am always working night shifts). will it be ok or would it be too much? i know that there’s no such thing as vitamins/supplements overload, but i am afraid i might be taking too much if i take a tablet/capsule of each everyday?